In 2007, when MySpace was the most popular Social Networking website in North America and Europe, a lot of profiles and groups were being created on the names of celebrities by fans on this network. Some fans added disclaimers on Homepage, saying that they were not affiliated with the celebrity to who the profile and group was dedicated to. However, some fans posed as the celebrity on whose name they created the profile. Why did the need for profile verification arise? In October 2007, many celebrities objected to the fake profiles on their names and thus, MySpace prepared a list of celebrities (starting with official profiles of WWE Superstars) that were confirmed by officials and Superstars. Celebrities started getting their profiles verified by MySpace. This is how, the concept of verified profiles, pages and groups started. After MySpace started verifying the profiles of celebrities, many celebrities started posting the pictures of themselves holding the sign on which the URL of their official profile was written. Later MySpace was dethroned as Number One social network by Facebook. Such profiles, groups and pages started cropping up on Facebook. Twitter entered the scene of social media. Many celebrities got attracted to Twitter and started connecting with fans through short messages called Tweets. Thus, Twitter went one step ahead from MySpace by not just offering verified Twitter handles of celebrities to fans but also displayed an icon of verification on the authentic Twitter handles. Fake profiles of celebrities were less on Twitter than on Facebook because only this icon would convince fans that the profile was genuine. Now, Facebook has also followed the suit and started offering the verified celebrity profiles and pages after confirming with celebrities that their profiles are authorized. Facebook blogged that its Verified Pages belong to ‘a small group of prominent public figures (celebrities, journalists, government officials, popular brands and businesses) with large audiences’. 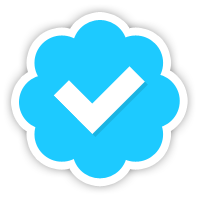 Verified pages have the icon similar to the one that appears on verified Twitter handles. At the time of this article being written many entertainers and corporate organizations are yet to get their pages verified from Facebook. Brands and celebrities cannot request to have their page verified by Facebook. Facebook will decide whether the page is authentic or not. This is cue that Facebook has taken from Twitter which has stopped users requesting profile verification. In the past users could request verification when their account reached 10,000 followers. Can Facebook‘s decision to identify brands on its own, affect brand pages? What if Facebook declares your genuine page as fake and the page launched by some fan of yours as authentic? Such fears should not arise. The blue check mark identifying verified pages and profiles will appear in timelines, stories, search results; news feed ads while users search for the name of a page elsewhere on the website. Brands that fail to receive verification over the coming weeks automatically are being referred to Facebook‘s help center where common duplication issues can be resolved. What direction, is Facebook going with Page Verification? According to the Pew Research Center‘s annual social media report, released in February 2013, Facebook is still the top social media website, bringing in 67% of Internet users. Report said that 16% of Internet users use Twitter. However, earlier this month, Nielsen reported that Facebook had lost 10 million visitors in the United States over the past year. Now Facebook is a more direct competitor to Twitter. Verification will give readers greater confidence in the posts from journalistic sources, so they can use Facebook to follow current affairs as well as a tool to connect with people they already know. 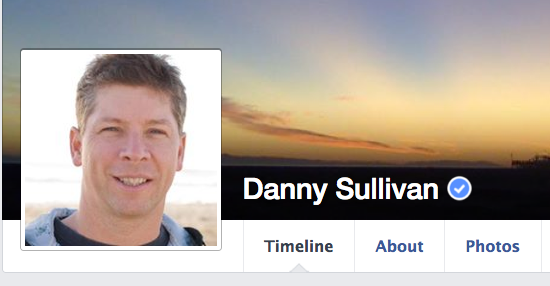 Is the page of your favorite celebrity on Facebook verified? What are your comments about this new policy of Facebook? Share with us.